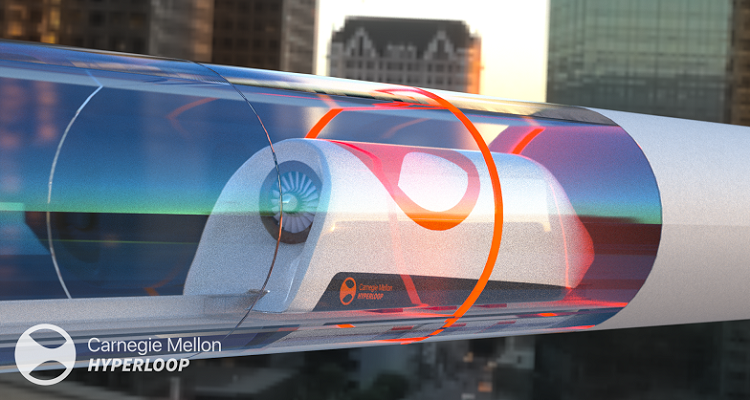 CMU Hyperloop's high-speed pod design. Imagine a world where a commute from Pittsburgh to New York City would take 30 minutes. That dream is closer to becoming a reality, thanks in part to a group of Carnegie Mellon University students. Last January, a team from CMU traveled to Texas A&M University, where they took on more than 100 teams to become one of 22 semi-finalists in the SpaceX Hyperloop competition. 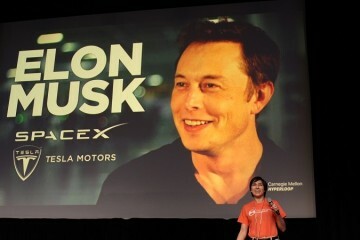 Conceived by SpaceX founder and CEO Elon Musk, the open competition tasked over 1,500 independent and student engineering teams with creating the best prototype for a high-speed ground transportation system. On Thursday, April 14, CMU Hyperloop will present their design during an on-campus information reception. Rahul Iyer, who works on corporate sponsorship and development for CMU Hyperloop, believes the event will educate attendees, and prepare the team for the final round of the competition. Artistic rendering of CMU Hyperloop. Led by Anshuman Kumar, a graduate student at the Integrated Innovation Institute, the CMU Hyperloop team began its work last May, and has since grown to include over 75 members from a variety of backgrounds in engineering, design and business. Iyer, a freshman who currently studies economics and statistics, joined the team last November, months after the design process had already begun. Iyer describes the final design as resembling a bobsled, with commuters sitting in a pod as it travels through a sleek, narrow tube. The air bearing system, which is unique to mass transport, works to support and propel the pod. “It’s a really low-pressure environment, and the pod essentially levitates in the tube, kind of like a puck on an air hockey table,” says Iyer. The final round of the competition will take place this summer in Hawthorne, California. There the team will demonstrate a full-scale, working version of their pod on a one-mile test track adjacent to SpaceX headquarters. 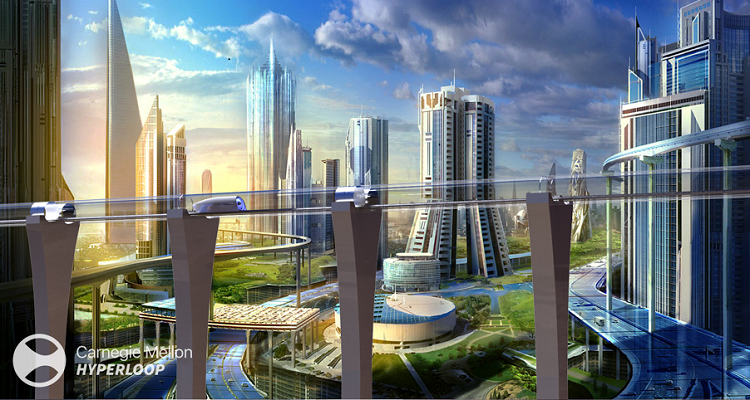 The CMU Hyperloop information session will take place from 7 to 8:30 p.m. in Rashid Auditorium. Those interested in attending can register at Eventbrite.